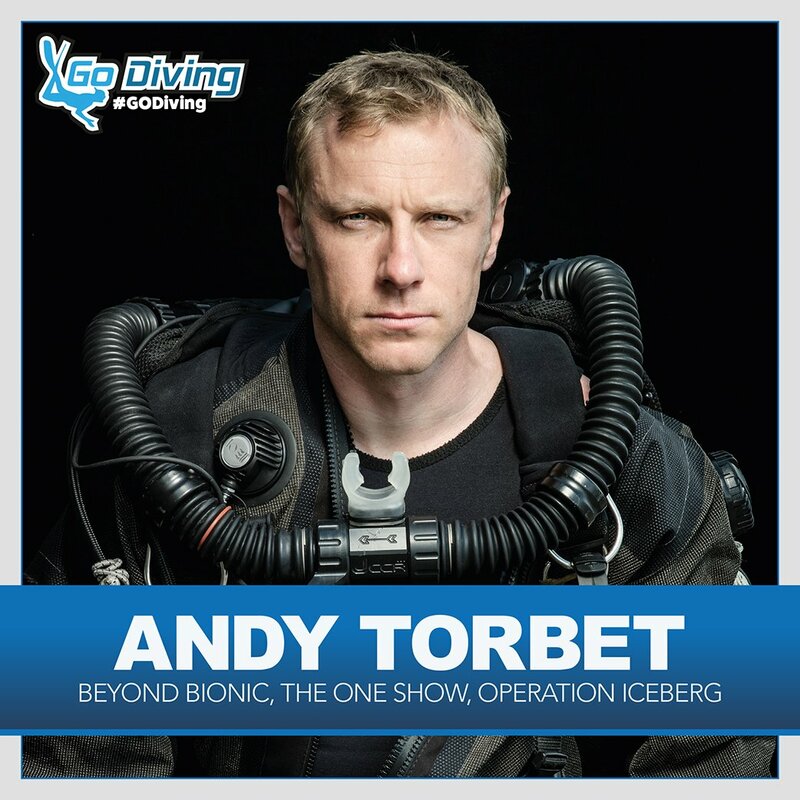 Off the back of the successful CBBC show Beyond Bionic, Andy Torbet has been confirmed as a headliner and compere for the new #GODiving show. Andy Torbet is a professional underwater explorer, cave and technical diver, Fellow of the Royal Geographical Society and Member of The Explorers’ Club. At last count he’s written over 200 articles and presented on 21 TV series, including programmes which saw him dive HMHS Britannic, under iceberg in the Arctic, inside glaciers in Greenland, freedive under Alaskan ice, with giant spider crabs in Japan, pilot the Oceanworks 1ATM Hardsuit and dive shipwrecks and caves all around the world. He’s been lead diver and supervisor on a number of archaeological and scientific expeditions, and spent ten years in the British Forces where one of his roles was commander of the Army’s Underwater Bomb Disposal Unit.